As the role of the pharmacist becomes more patient and counseling-centered, the healthcare market is changing to keep pace with more modern needs, such as self-treatment. Self-treatment provides patients the ability to diagnose their own condition and pick an appropriate medication from the pharmacy to treat their symptoms. This process allows a certain freedom for consumers to actively engage in their own health. In order for patients to self-treat, access to over-the-counter (OTC) medication is of prime importance. Many medications that are available as OTC today were previously labeled as prescription medications. As more safety studies and trials are conducted for different drugs, they can be deemed appropriate for use without a prescription. This review study discusses the process of switching of prescription medications to OTC medications in the United States and the implications of switching on patients, practitioners, drug makers, and insurers. The pharmaceutical legal framework is a very important infrastructure in achieving predefined goals in pharmaceutical sector: Accessibility, quality, and rational use of medicine. This study aims to review the current pharmaceutical sector-related legal provisions in Iran where the Food and Drug Organization (FDO) is in charge of regulating all issues related to the pharmaceutical sector. The main laws and regulations enacted by parliament and cabinet and even internal regulations enacted by the Ministry of Health or Iran FDO are reviewed. 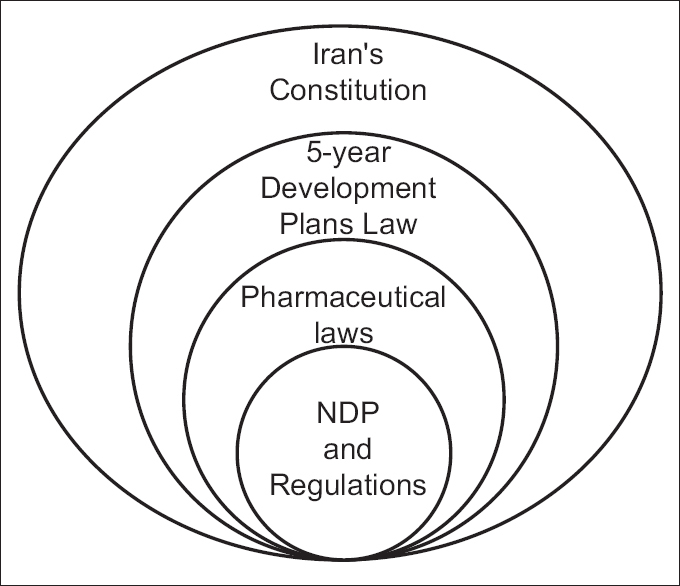 Different laws and regulations are categorized according to the main goals of Iran national drug policy. Objective: Drug promotional literatures (DPLs) are used as a promotional tool to advertise new drugs entering the market to doctors. The objective of the present study is to evaluate the accuracy of DPLs by using the World Health Organization (WHO) criteria. Methods: An observational study was conducted from March to August 2014. The DPLs were collected from various departments at R.L. Jalappa Hospital and Research Centre attached to Sri Devaraj Urs Medical College, Kolar, India. The literature was evaluated based on 11 criteria laid down by the WHO. Findings: Two-hundred DPLs were evaluated. Cardiovascular drugs (34 [17%]) were promoted the most, followed by antidiabetic drugs (31 [15.5%]) and antimicrobial agents (29 [14.5%]). Single drug was promoted in 134 (67%) and fixed drug combination in 66 (33%) brochures. Manufacturer's name was mentioned in 194 (97%), but their address was mentioned in 109 (54.5%) claims only. Drug cost was revealed only in 12 (6%) DPLs. Each ingredient's generic name, brand name, and dosage form were mentioned in 197 (98%) brochures. Indication for use was stated in 193 (96.5%) claims. Contraindications, adverse effects, precautions, and drug interactions were listed in 68 (34.5%), 65 (32.5%), 65 (32.5%), and 58 (29%) advertisements. References were cited in 133 (66.5%) brochures. Only 63 (31.5%) literatures had relevant pictures of drugs being promoted and 59 (29.5%) had a graphical representation of pharmacological properties. 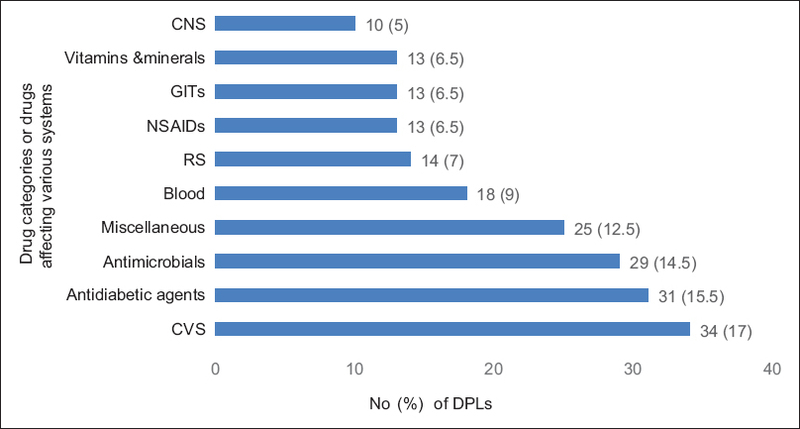 A total of 131 (69%) DPLs followed 50% of the WHO criteria. Conclusion: Majority of DPLs satisfied only half of the WHO criteria for rational drug promotion and none of them fulfilled all the specified criteria. Incomplete or exaggerated information in DPLs may mislead and result in irrational prescription. Therefore, physicians should critically evaluate DPLs regarding updated scientific evidence required for quality patient care. Objective: Tenofovir is among the first-line treatments for chronic hepatitis B (CHB) virus infection. We evaluated the efficacy and safety of Tenofovir in treatment of Iranian patients with CHB. Methods: Forty treatment-native patients with CHB but without concurrent hepatitis C or human immunodeficiency virus infections were treated with Tenobiovir (™) 300 mg/day. The hepatitis B virus (HBV) DNA load, hepatitis B e antigen (HBe Ag), anti-hepatitis B e antibody (HBe Ab), liver enzymes, and creatinine were measured before and at least 3 months after the treatment. Findings: The mean age of patients was 38.1 ± 12.4 years and 65% of them were male. Seventeen (42.5%) patients were HBe Ag-positive and 15 (37.5%) patients had alanine aminotransferase (ALT) of two times above the normal. The HBV DNA load was significantly decreased after the treatment (P < 0.001). Twenty-seven (67.5%) patients had viral load of ≤2000 IU/ml and 22 (55%) patients had undetectable HBV DNA level after the treatment. Among positive HBe Ag patients, the HBe Ag became negative in 15 (88.2%) patients after the treatment and HBe Ab became positive in 3 (17.6%) patients. Liver enzymes' levels were significantly decreased after the treatment (P <0.05) and ALT transaminase level became normalized in 86.7% (13 out of 15) of cases with baseline levels twice the normal. Conclusion: Treatment response rate to Tenofovir in Iranian patients with CHB was high. The virological and serological response rate and safety of Tenofovir in our population was comparable to other populations. Considering availability and costs, Tenobiovir (™) could be recommended as the first-line therapy of chronic HBV infection in Iran. Objective: The objective of the study was to evaluate and compare the effect of conventional and newer antiepileptic drugs (AEDs) on thyroid hormone levels in adult epileptic patients. Methods: A hospital-based , analytical cross-sectional study was conducted among the adult epileptic patients receiving conventional AEDs (Group 2) or newer AEDs (Group 3) for more than 6 months. Serum thyroid hormone levels including free triiodothyronine (fT 3 ), free thyroxine (fT 4 ), and thyroid stimulating hormone (TSH) were analyzed and the hormonal status was compared with healthy control subjects (Group 1). Findings: Sodium valproate and phenytoin were commonly used conventional AEDs; levetiracetam and topiramate were common among the newer drugs. There was a statistically significant decrease in serum fT 4 and increase in serum TSH levels (P < 0.0001) in patients on long-term therapy with conventional antiepileptic agents than in the control group. No significant change in thyroid hormone levels (fT 3 , fT 4 , and TSH; P = 0.68, 0.37, and 0.90, respectively) was observed with newer antiepileptics-treated patients when compared to control group. One-way analysis of variance followed by post hoc Dunnett's test was performed using SPSS version 17.0 software package. Conclusion: The present study showed that conventional AEDs have significant alteration in the thyroid hormone levels than the newer antiepileptics in adult epileptic patients. Objective: Malaria rapid diagnostic test (MRDT) provides a good alternative to malaria microscopy diagnosis, particularly in resource-constrained settings. This study therefore evaluated MRDT in private retail pharmacies (PRPs) as a critical step in community case malaria management. Methods: In a prospective, cross-over, validation survey at six PRPs in the Ashanti Region of Ghana, 1200 patients presenting with fever in the preceding 48 h were sampled. Fingerstick blood samples were collected for preparation of thick and thin blood films for malaria microscopy. Categorized patients (600 each) went through the processes of MRDT or presumptive diagnosis (PD) of malaria. The malaria disease prevalence of the study area was established. Selectivity (Se), specificity (Sp), positive predictive value (PPV) along with false discovery rate (FDR), and negative predictive value (NPV) along with the false omission rate (FOR), and diagnostic odds ratio (DOR) of MRDT were then calculated. Findings: While 43.0% tested positive using the MRDT, 57.0% tested negative. However, 62.0% MRDT-negative patients in addition to all the MRDT positives were given artemether-lumefantrine. Of those diagnosed by PD, 98.2% were prescribed with an antimalarial (microscopy however confirmed only 70.3% as positive). Se and Sp of the MRDT were 90.68 ± 11.18% and 98.68 ± 1.19%, respectively. Malaria prevalence was estimated to be 43.3%. PPV was 98.0%, FDR was 2.0%, NPV was 98.0%, FOR was 2.0%, and DOR was 2366.43. Conclusion: Results highlighted good performance of MRDTs at PRPs which could inform decision toward its implementation. Objective: There is an increasing recognition among clinicians and researchers that the impact of chronic illnesses and their treatments must be assessed in terms of their quality of life (QoL) in addition to more traditional measures of clinical outcomes. The aim of this study was to compare the QoL in patients with relapsing-remitting multiple sclerosis (RRMS) using Avonex or CinnoVex. Methods: We conducted a cross-sectional study on one hundred patients with RRMS, fifty and fifty patients were being treated with Avonex (Biogen Idec, USA) and CinnoVex (CinnaGen, Iran), respectively. We used a disease-specific questionnaire for MS (Multiple Sclerosis Quality of Life-54 [MSQoL-54]). Both groups were tested for significant differences regarding sociodemographic. A multiple linear regression model was constructed to find factors that affected the different aspect of QoL of the whole sample of patients. Findings: MS groups did not differ in physical and mental health composite scores as well as relative scales. The results of regression models for each subscale showed that age, marriage, and Expanded Disability Status Scale were associated with several subscales of the MSQoL-54 (P < 0.05). Conclusion: In this study, it was seen that there are no significant differences between QoL of Avonex and CinnoVex, but a limitation in our study the results may be different in other countries and even various areas in Iran. Objective: Concern about adverse effects of the inconsistent use of stress-related mucosal damage prophylaxis in intensive care unit (ICU) is increasing. Hence, this study was designed to prospectively evaluate the rate of inappropriate stress ulcer prophylaxis (SUP) administration upon ICU admission, at ICU discharge and determine the adherence to American Society of Health-System Pharmacists (ASHP) guideline during ICU stay. Methods: In this study, 200 patients were randomly selected from all ICU admissions during 9 months. Risk factors of stress ulcer were recorded daily during ICU stay and appropriateness of SUP administration was assessed according to the ASHP criteria. Findings: Of all 160 (80%) patients who received SUP, 44.4% did not have indication; and among 95 patients with an indication for SUP administration, 6.3% did not receive it upon ICU admission. Consequently, 77 (38.5%) of 200 patients received inappropriate prophylaxis on ICU admission. In addition, 53.5% of patients had appropriate adherence to ASHP guideline during all days of ICU stay (44% and 2.5% of patients received SUP more than 120% and <80% of appropriate SUP duration, respectively). Moreover, 81.2% were continued on inappropriate prophylaxis upon transfer from the ICU. Conclusion: We concluded that although SUP administration included both overutilization and underutilization in this ICU, but high prevalence of SUP overutilization caused unnecessary hospital costs, personal monetary burden, and may increase adverse drug reactions. Therefore, educating physicians and cooperation of clinical pharmacists regarding implementing standard protocols could improve patterns of SUP administration. Objective: To evaluate the knowledge, attitude, perception, and practice of medical and pharmacy students toward the usage of sunscreen as protection for the skin against ultraviolet (UV) radiation. Methods: This cross-sectional study was conducted among final year medical and pharmacy undergraduates at the International Islamic University Malaysia. Validated questionnaires were distributed to 134 medical students and 100 pharmacy students. Descriptive and inferential statistics were used where appropriate. Findings: One hundred and sixty-one out of 234 participants completed the questionnaires. The participants comprised 101 medical students (75.4%) and sixty pharmacy students (60.0%). The majority of the respondents were females (102; 63.4%), and 59 (36.6%) were males. The median of the knowledge scores of the final year medical students was significantly lower than that of the final year pharmacy students (P < 0.001). The female students showed significantly higher knowledge scores than the male students (P = 0.027). This study reported that 24 (39.3%) pharmacy students were influenced by the media to use sunscreen, whereas 35 (34.7%) medical students were influenced the most by friends to use sunscreen. The final year pharmacy students had a better perception compared to the medical students, with the total perception score of the final year pharmacy students being significantly higher than that of the final year medical students (P = 0.020). Most of the participants were also aware of the harmful effects of UV radiation and had a positive reaction toward the usage of sunscreen to prevent those harmful effects. Conclusion: The knowledge and perception of final year pharmacy students were significantly higher than the knowledge and perception of final year medical students with regard to the usage of sunscreen. 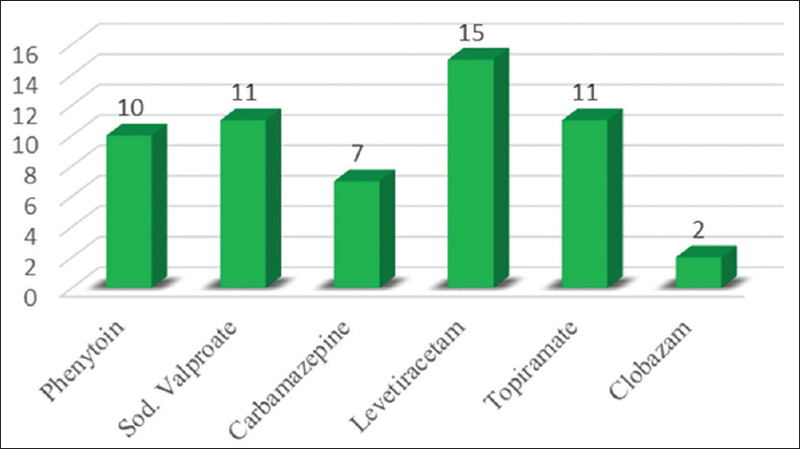 Objective: In this study, we aimed to assess knowledge, attitude, and practice of community pharmacists toward administration of over-the-counter (OTC) antidiarrheal drugs in our city pharmacies, Shiraz, Iran. Methods: In this descriptive cross-sectional study, 90 pharmacies among 128 pharmacies in our city were randomly chosen. The study was designed into two phases: A standard questionnaire to determine the level of knowledge and attitude of pharmacists and a simulated client method to evaluate practice among them. An educational pamphlet was then given to the pharmacists. 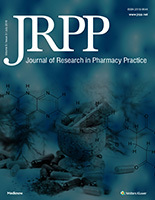 One month later, knowledge, attitude, and performance of studied pharmacists were evaluated again using the same method. Findings: Our results showed that an average consultation time by female pharmacists was considerably more than male pharmacists (P < 0.001). Before intervention, only 37.8% of pharmacists performed appropriately by prescribing the proper medicine while this increased to 58.44% after intervention. The average score of pharmacists' knowledge was statistically increased (P < 0.001) and the pharmacists' performance was significantly improved (P < 0.001) after the educational intervention. In related to the attitude, pharmacists' tendency toward prescribing oral rehydration salt solutions (ORS) (P < 0.001) and their belief about the great effect of ORS on the treatment of diarrhea increased significantly after the intervention. Conclusion: It is concluded that training programs such as educational pamphlets and continuing educational seminars may play important roles in increasing pharmacists' knowledge and therefore improving their performance in prescribing OTC medicines. Objective: Hawaii has diverse population made up of a cultural mix of different races. Due to different cultural and social influences and language barrier, many of the under-served population who migrated to Hawaii and having diabetes mellitus may be susceptible to long-term complications due to uncontrolled hyperglycemia and medication nonadherence. The purpose of this study was to evaluate the impact of a diabetes education program on the clinical outcomes in patients with diabetes mellitus in the Micronesian community of Hawaii. Methods: This study included patients over age 18 years, with a diagnosis of type 2 diabetes mellitus. The diabetes education program was customized for its weekly classes to fit to the under-served population. Data were collected on participants on the 1 st day and then 6 months after attending the education program. Data on primary and secondary endpoints were collected and analyzed. Findings: The mean glycosylated hemoglobin A 1c , fasting blood glucose, and triglyceride levels of participants fell significantly from baseline after attending the diabetes education program for 6 months. No significant changes were observed in other secondary outcomes during the study time period. Conclusion: Based on our findings, the diabetes education program that was tailored to the Micronesian population was successful in achieving glycemic goals, enhancing medication adherence, improving clinical outcomes, and also preventing long-term complications among its participants. 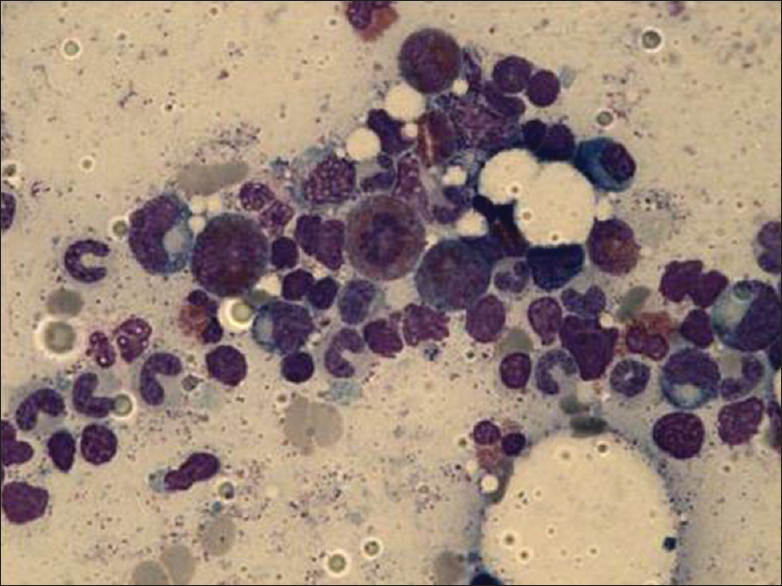 Objective: In this study, we evaluated certain aspects of the usage and administration of one lifesaving, high-cost medication, i.e., Ganciclovir for the prevention and treatment of cytomegalovirus (CMV) infection in transplant patients. Methods: This study was performed from 2013 to 2015 by conducting a medication use evaluation (MUE) program in the kidney transplantation departments of two tertiary care hospitals in Isfahan, Iran. The MUE criteria for the drug were developed by applying drug information references. In every category of data, the number (percent) of cases, in which drug therapy was in accordance with the predetermined criteria, was calculated. Findings: During the study period, 67 cases were observed. The only documented drug interaction was the minor interaction of Ganciclovir with mycophenolate mofetil in 77% of the patients. In all patients, intravenous (IV) infusion was the route of administration, mainly in the peripheral veins. Four patients showed adverse drug reaction, which leads to Ganciclovir discontinuation. Ganciclovir was administered despite contraindication in 34.3% of the patients. Conclusion: In this study, we faced a relatively unacceptable situation, in which Ganciclovir is handled somehow inappropriately. It seems necessary to develop an updated local guideline to approximate the administering pattern of such costly medications to standard protocols. Dapsone (4,4'- diaminodiphenylsulfone) is the parent compound of the sulfones, and it has potent antiparasitic, anti-inflammatory, and immunomodulatory effects. It is used in the treatment of leprosy, dermatitis herpetiformis, and prophylactically to prevent Pneumocystis pneumonia and toxoplasmosis in patients unable to tolerate trimethoprim with sulfamethoxazole. We hereby report a case of dapsone toxicity who developed pure red cell aplasia and cholestatic jaundice in a suspected case of dermatitis herpetiformis. Patient had an excellent response to corticosteroids after withdrawal of dapsone. Objective: Objective of this study was to assess the attitude of nurses and pharmacists towards adverse drug reactions (ADRs) reporting. Methods: The questionnaire was designed based on extended "Inman seven deadly sins." Two hundred and seventy-two respondents were selected by stratified sampling technique. The questionnaires were delivered to the respondents at their places of practice. The data generated were analyzed by Sigma XL Software Inc. Findings: There was no statistically significant relationship between demographic profiles and reporting attitude except for qualification. On extended "Inman seven deadly sins" awareness of reporting protocol and nearby center for ADRs reporting were low 27.3 and 7.5%, respectively. However, respondents' score on components of attitude of ADRs reporting is generally encouraging. On comparative basis, no statistical significance exists between pharmacists and nurses. Conclusion: The study showed that attitude of respondents towards ADRs reporting is good. However, there is a need for targeted health education intervention among these cadres of health-care professionals, especially on aspects of awareness of reporting protocol and reporting center. Objective: The study was aimed to assess the incidence and characteristics of drug-related problems (DRPs). Methods: A prospective, observational study was conducted among 133 patients with stroke disease who were aged 18 years or older and admitted to the general medicine ward. During the 6 months study period, the incidence of DRPs was identified using the Pharmaceutical Care Network Europe Foundation classification system, version 6.2. Findings: A total of 133 patients were screened for DRPs. Among them, 120 patients have at least one DRP. A total of 254 DRPs were identified (on average, 2.015 DRPs per each patient case). Conclusion: Increasing the evidence of the incidence of medication-related problems in tertiary care hospitals indicates the need for the establishment of a clinical pharmacist in hospital settings.